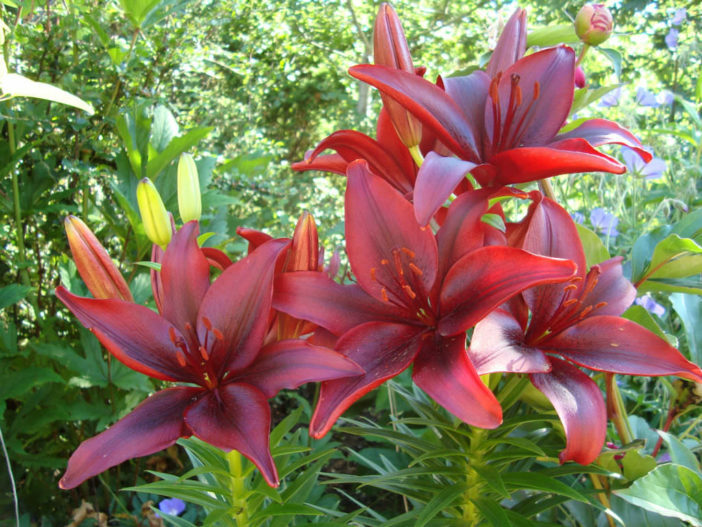 Lilium ‘Black Out’ is a Asiatic Lily with funnel-shaped, dark carmine-red flowers with darker black-flushed-red shading in the center of each petal. 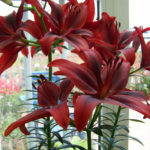 Flowers bloom in June to July on rigid stems rising up to 3 feet (90 cm) tall. 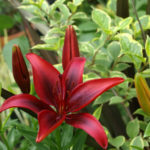 Stems are clad with narrow, lanceolate, dark green leaves. 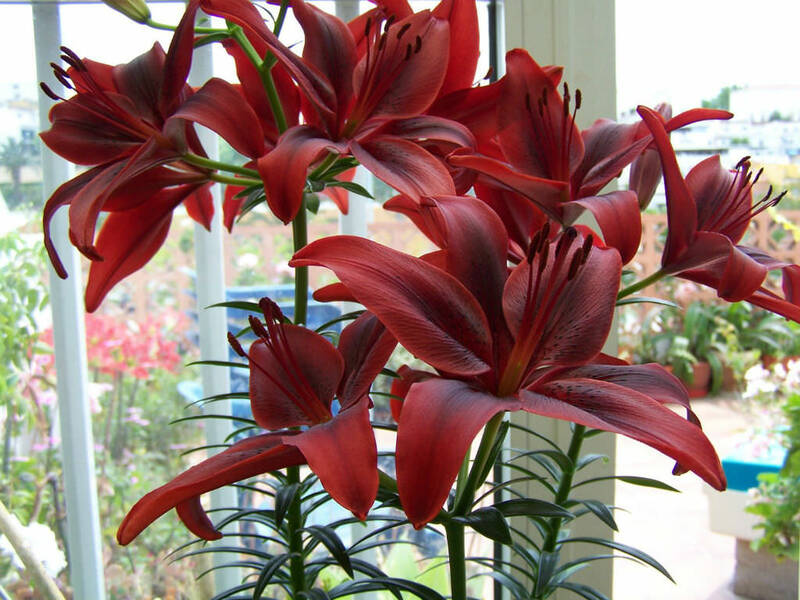 Even more than other bulbs, lilies demand well-drained soil. 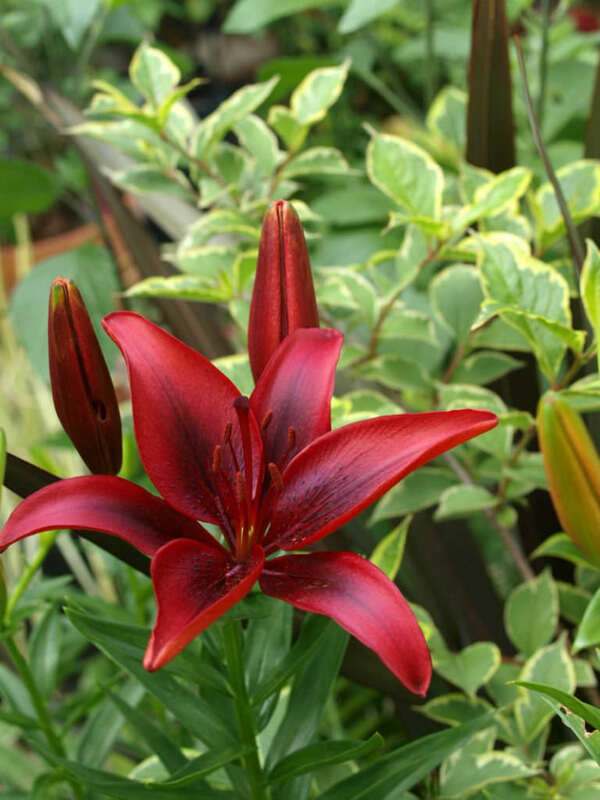 Dig the spot where you plan to plant lilies to a depth of at least 12 inches (30 cm), remove rocks and add organic matter, such as leaf mold or peat moss to improve both the soil’s structure and drainage. 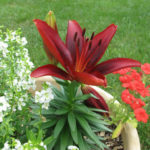 Like other bulbs, lilies appreciate a little bone meal scratched in at the bottom of the planting hole, but do not really require other fertilizers at planting time. 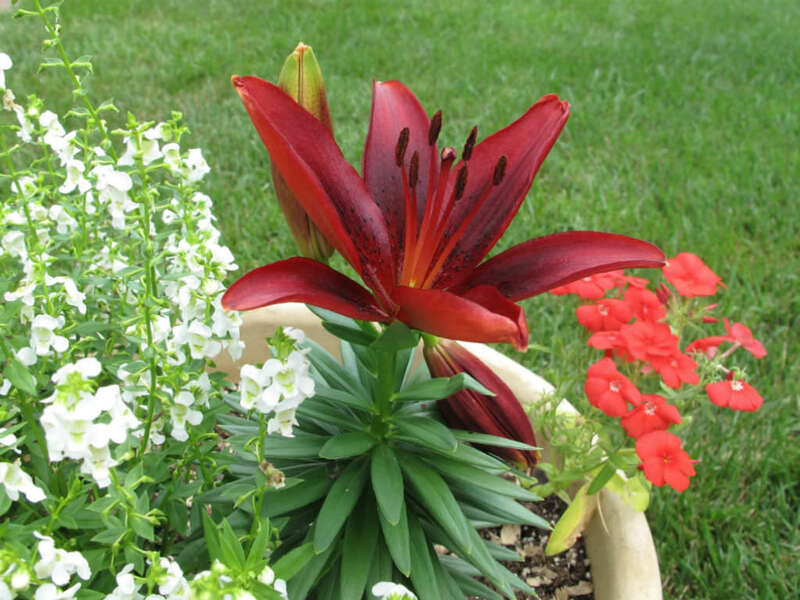 Instead, wait until the bulbs send up green leaves and then sprinkle a complete organic fertilizer around the plant and water it in.